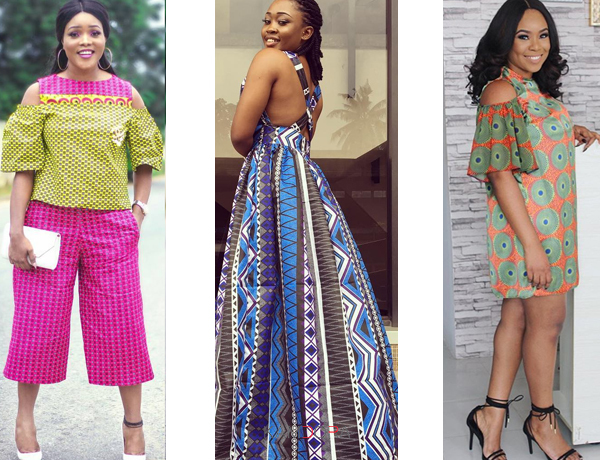 Ankara Styles #155: High Energy! I’m loving Mimi Onolaja’s dress, epic!! Be stylish in the double print fashion, halter neck maxi dress and take some risk with your fabric by styling it inside out! Check out these styles to see what I mean! Look 1: Play with the off-shoulder top and be stylish just as Violet has done! Look 2: halter neck maxi dresses for the slay! Thumbs up Sylvia! Look 3: Borah’s off-shoulder two-piece look really pretty! Look 4: Nhlanhla knows how to tame colours! Her look gives me energy! Look 5: Mimi looks totally hot in this piece and the strap heels are lovely!